The topper is the most important decoration of a Christmas tree. There are numerous types of toppers, but IoT toppers… Well that’s a quite new thing and I built one. Here’s how you can build one, too. At first you will need some cool decoration to work with. 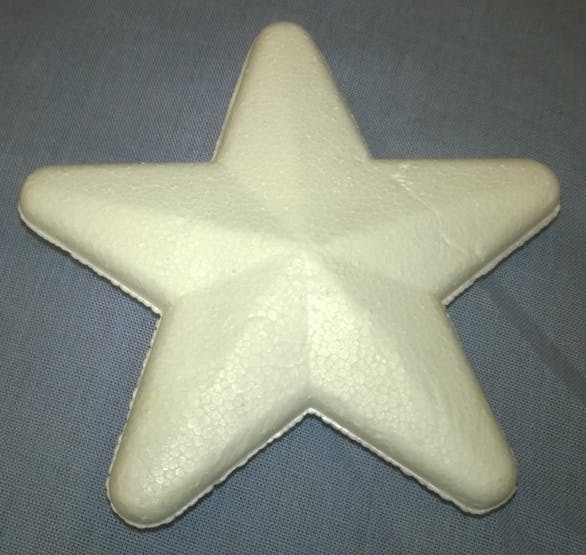 I bought a polystyrene star in a paper shop, but if you’ve got a 3D printer your possibilities are endless. 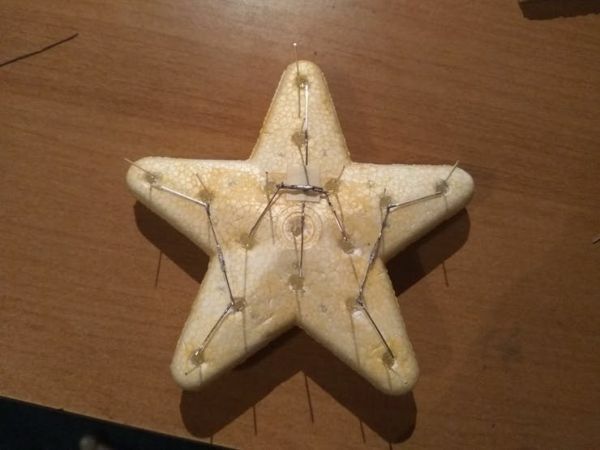 I painted the star yellow with a marker and dug holes for the LEDs with a needle. You can find where to dig the holes using the “IDs of the LEDs” picture in the Schematics section. Place the LEDs in the holes and start soldering them together based on the “circuit schematics” that I provided. 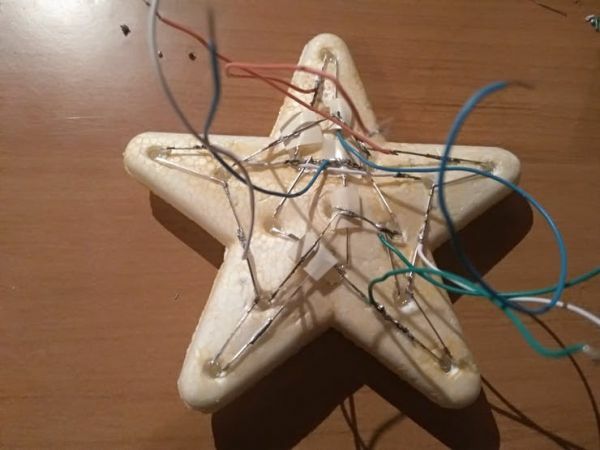 Polystyrene is heat sensitive, so partly pull out the LED when you solder it and be fast. When it is required create bridges with insulating tapes. My circuit diagram is possibly not optimal, so if you’ve got any better idea go with it. 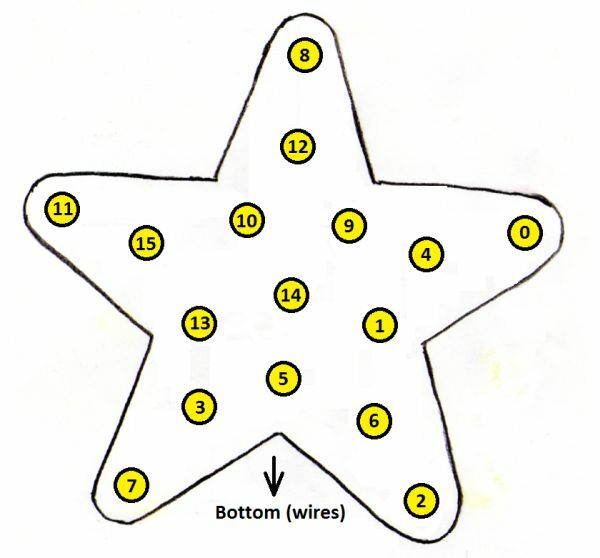 The wires next to the LEDs are connections to the + and – lines (4-4). 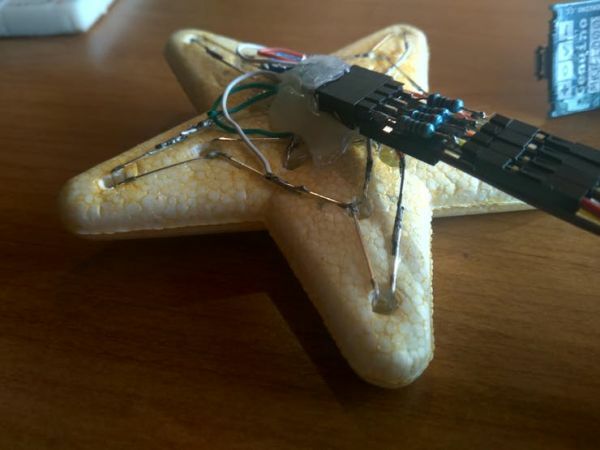 At this point you’ve got to do two things: solder the wires onto the female headers bottom and hot glue them onto the back of the star. I soldered the positive lines to the top part and the negative lines to the bottom part of the headers. 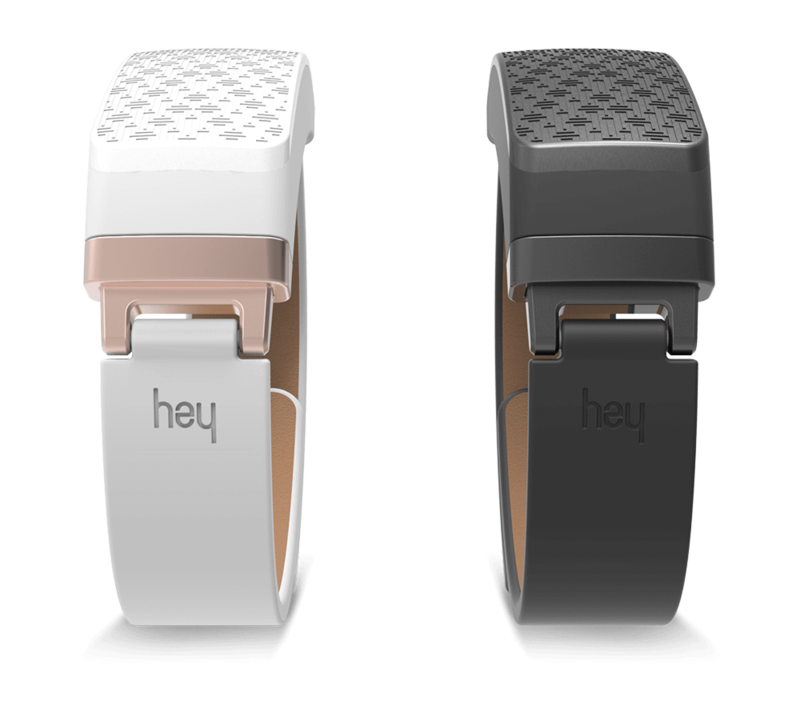 This project uses Blynk. If you don’t know Blynk click here for more info. When you create the Blynk project, you will get an authorization token. You will need that later when you upload the code into the MKR1000. Upload my code to your MKR1000 (fill the SSID, password and authorization variables with proper values. 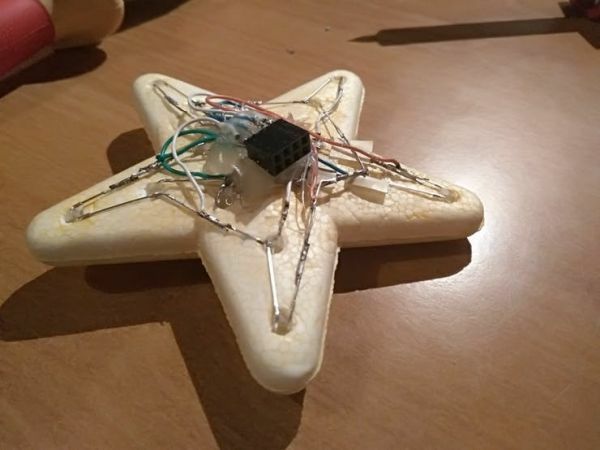 Auth is the string that I mentioned when you created the project in Blynk) and now all you have to do is put your topper on your Christmas tree and hide the wires. I’ll write some words about the code, too. 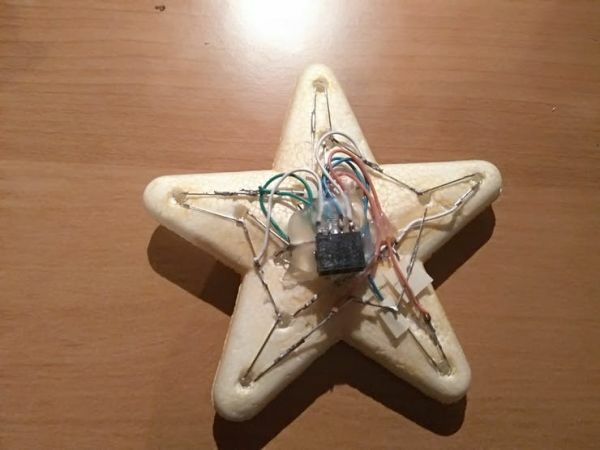 The star display works like a Matrix display or a 2/3/4 digit 7 segment display, except it is in a star shape. My code handles the LEDs accordingly. 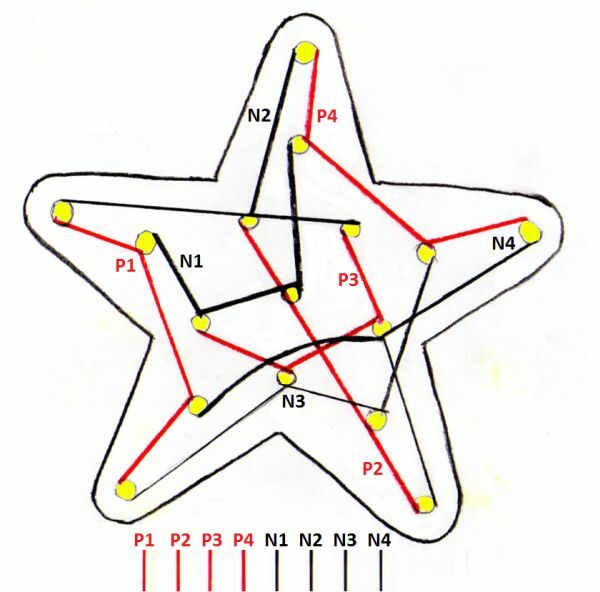 The star has 4 groups of LEDs, and there are 4 LEDs in each group. The “plot” array in the code contains the 256 step long program for display update. 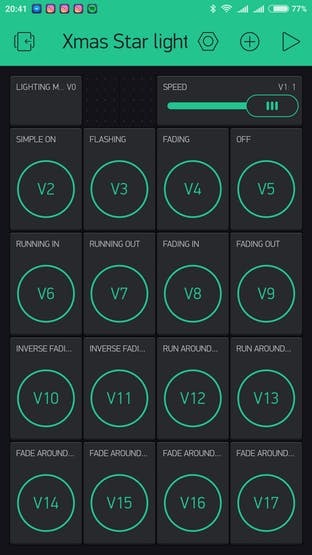 When you push a button in Blynk, the proper Blynk function executes in the MCU that overwrites the plot array and thus it changes what the MKR1000 displays. This is a simple code, but it is also quite long, so feel free to ask, if something is not clear. If you are here sometime around December in any year then I wish you a Merry Christmas and Happy New Year! If not then I just simply thank you for being interested in my project! negative lines. Solder the LEDs accordingly. 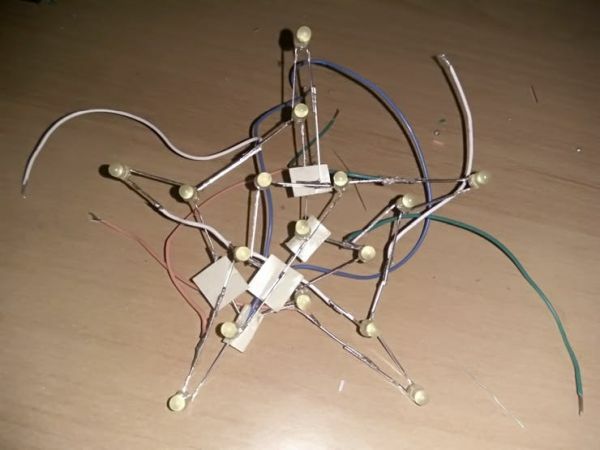 Each line is connected to 4 LEDs. 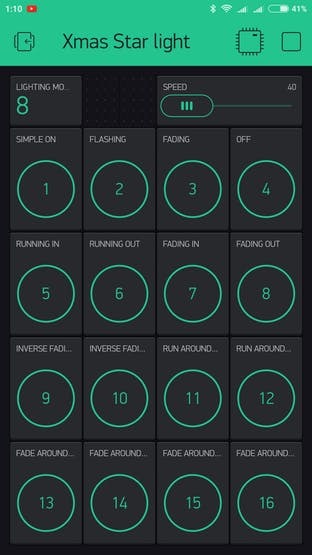 The numbers refer to the variables in the code/pins of the MCU. I think it’s easy to understand, but if you have difficulties contact me and if it is required I will think of something else. 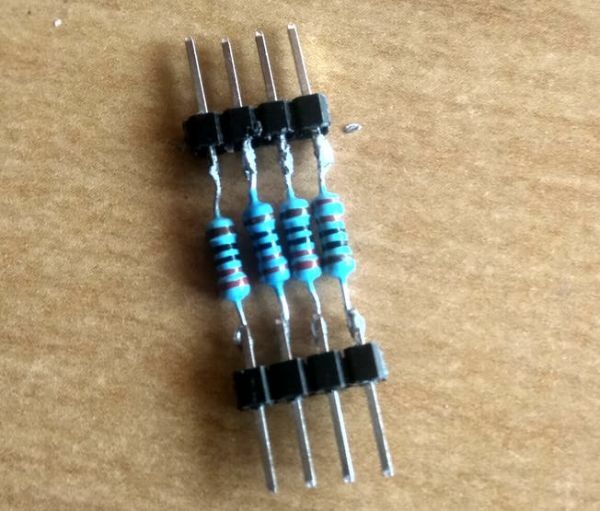 These IDs are used to refer the LEDs in the plot (array in the code). 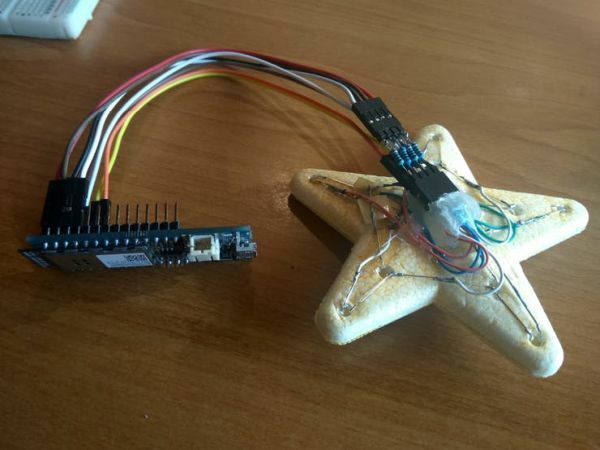 This code is made for Arduino MKR1000. You just upload it to the MCU after you connect the star display. Use the description to connect the display. 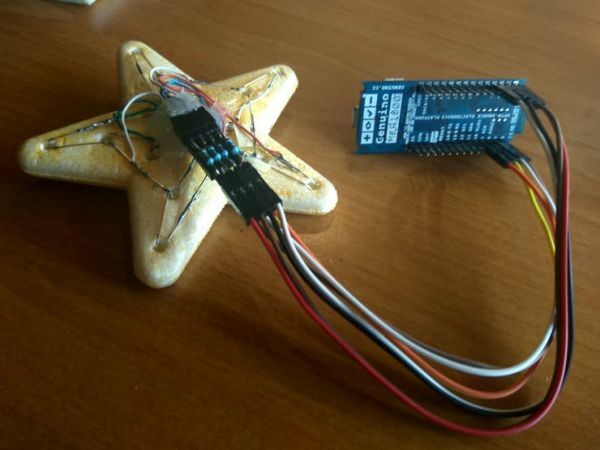 * This project is made for "The Arduino Internet of Holiday Things"
//Star screen updating based on the "plot"